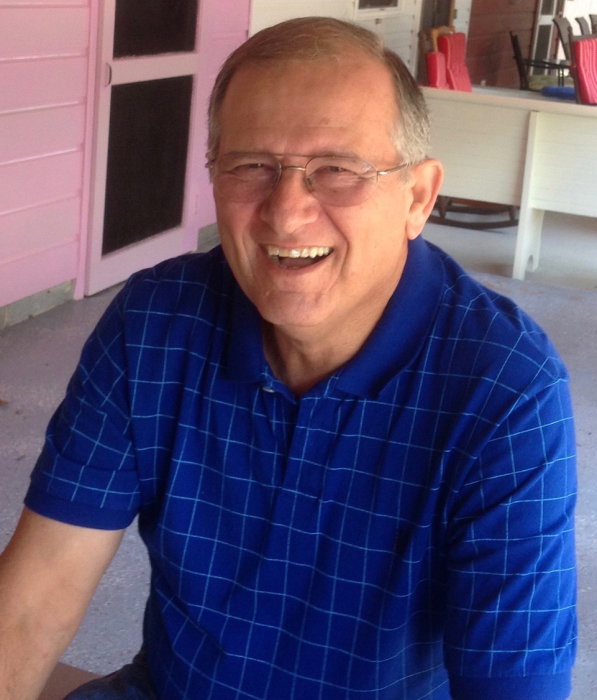 Charles Douglas Munday, 74, of Harrisburg, NC, left his earthly body on Friday, April 12, 2019, to walk hand in hand with his Lord and Savior, Jesus Christ, in his eternal heavenly home. Charles was born May 20, 1944 in Hickory, NC, to the late Mary Frances Miller Brown. He was also preceded in death by Step-father Bill Brown, and maternal grandfather Raymond Miller and grandmother Glennie Miller. Charles retired from Bank of America on March 31, 2012 where he worked for 48 years as a programmer and Vice President of computer technology. He was a member of Hickory Grove Baptist Church where he helped with Awana’s and VBS and Sunday School projects. He enjoyed shag dancing and line dancing, golfing, gardening, bike riding and traveling with friends. Survivors include beloved wife of 19 years, Beverly Britt Munday; son, Joseph Douglas (Gina) Munday; daughter, Ashley (Artie) Francis; daughter, Amy Melissa Lowder; siblings, Ronnie (Jo) Munday and Omega (Peter) Cleveland; step-brothers, Ricky Brown, Jeff Brown, Kent Brown; grandchildren Chad Brown (Anita), Matthew (Krista) Munday, C.J Munday (Natalie), Jack and Josh Francis and Ethan Dellinger; great-grand-daughter Allodia Brown and great-grandsons Andrew, Nathan, Jordan and Carter Brown and Joshua and Bradley Hawley. And Charles’ best friend Zip Helms who has been such a blessing and so devoted to call and come visit every week over the last few months. The family will receive friends from 6 - 8 pm, Sunday, April 14, 2019 at Hartsell Funeral Home, 12115 University City Blvd, Harrisburg. The funeral service will be 11 am on Monday, April 15, at Hickory Grove Baptist Church, 7200 E. WT Harris, Charlotte, officiated by Rev. John Harrill and Rev. Arnold Kessler. Burial will follow at United Love Baptist Church Cemetery, 11487 Flowes Store Rd, Midland. In lieu of flowers, memorial donations may be made to Hickory Grove Baptist Church Plus One Mission Fund, 7200 E. WT Harris Blvd, Charlotte NC 28215; Levine and Dickson Hospice House of Huntersville, 11900 Vanstory Dr, Huntersville NC 28078; or Tucker Hospice and Palliative Care of Cabarrus County, 5003 Hospice Ln, Kannapolis, NC 28081. Hartsell Funeral Home of Harrisburg is serving the Munday family.